it is the best overview i have found freely available online. there might be other overviews. please comment below if you have found another. and include the link. mithraea are sunk below ground and there were no windows as each mithraeum was intended to be as dark as the original cave of Mithras. It is known that the center of the cult was the Mithraeum, either an adapted natural cave or cavern, preferably sanctified by previous local religious usage, or an artificial building imitating a cavern. Mithraea were dark and windowless, even if they were not actually in a subterranean space or in a natural cave. When possible, the mithraeum was constructed within or below an existing building. The site of a mithraeum may also be identified by its separate entrance or vestibule, its “cave”, called the ‘spelaeum’ or ‘spelunca’, with raised benches along the side walls for the ritual meal, and its sanctuary at the far end, often in a recess, before which the pedestal-like altar stood. Many mithraea that follow this basic plan are scattered over much of the Empire’s former area, particularly where the legions were stationed along the frontiers. Others may be recognized by their characteristic layout, even though converted as crypts beneath Christian churches. The name Mithras is the Greek masculine form of Mithra, the Persian god who was the mediator between Ahura Mazda and the earth, the guarantor of human contracts….earliest images show Mithra holding in his upraised hands the Sword of Truth and Torch of Light. 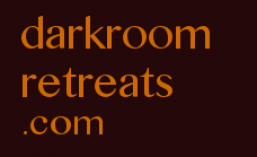 CHRISTIAN DARK RETREAT……..The time before Easter is traditionally a dark time on the liturgical calendar. Many Christians express discomfort with its contemplation and remembrance of Christ’s betrayal, abandonment and suffering, preferring the “light” – and lightheartedness – of Easter. But more Christians are beginning to embrace the spiritual value of darkness, participating in Buddhist-inspired “dark retreats” and candlelit Tenebrae – Latin for “shadows” — services…….Martin Lowenthal is the founder and director of the Dedicated Life Institute in Newton, Mass. He is also the author of Dawning of Clear Light: A Western Approach to Tibetan Dark Retreat (Hampton Roads, 2003). Contact 617- 527-8606. SUFI MEDITAYION……….Room Dark……..Sufi Meditation Muraqaba, thinking about the spiritual mentor, an attempt to concentrative focus our thoughts on someone, so that his image could recurrently reflect upon the screen of our mind, we are liberated from the limiting senses…. ISLAM & THE CAVE……Jabal al-Thawr is the name of a mountain in Saudi Arabia, located in the lower part of Mecca to the south of the district of Misfalah…..notable for housing a cave known as Qar al-Thawr (lit cave of the Bull), in where the Islamic prophet Muhammad and Abu Bakr hid from their persecuters, the Banu Quraish during the migration to Medina. Great Mosque of Cordoba….the mihrab (a niche in the qibla wall indicating the direction of Mecca) of Cordoba is unusual in design, notes Grabar. This mihrab is a small, windowless room — a dark and mysterious source of the Divine. “The practice of thogal is typically carried out in strict seclusion, in the seven-week bardo retreat known as yangti, “beyond ati,” in other words beyond the ninth yana, atiyoga, “one of the most highly advanced and dangerous forms of practice in Tibetan Buddhism.” It is held that through practicing the bardo retreat, one attains the rainbow body, which arises as the natural result of the identification of mind (jnana) and body (kaya). Druchen Gyalwa Yungdrung wrote a practice manual in which the number of sessions in retreat (thun mtsham) was further reduced to fifteen. This popular practice manual is known as the A-khrid thun mtsham bco-lnga-pa. And in the present century, the great Bonpo master Shardza Rinpoche wrote extensive commentaries on the A-khrid system, together with the associated dark retreat (mun mtshams). The A-khrid tradition, where the practice is very systematically laid out in a specific number of sessions, in many ways corresponds to the rDzogs-chen sems-sde of the Nyingmapa tradition. There are four parts to this text, each being called a wheel or a cycle of teaching (‘khor-lo). These wheels or cycles have nothing to do with the Indian Tantric system of Chakras located in the human body and employed in yoga praxis. In the text, these wheels are set side by side, much as one would do with the four wheels of a wagon or vehicle. 4. the Wheel of the Time of the Bardo (bar-do dus kyi ‘khor-lo). The Wheel of the Time of the Bardo ….. The fourth cycle of teaching found in this text concerns the time of the onset of the Bardo experience after death (bar-do dus kyi ‘khor-lo). The description in the preceding cycle of teaching concerning the mystical anatomy and physiology of the human body, which is the foundation for the practice of vision both in sunlight and in the dark retreat, pertains to the preparations made in advance during one’s lifetime for death and the Bardo experience. Just as may be the case in practice, both with sunlight and with total darkness, following upon the onset of the Bardo after physical and psychical death, the archetypal sacred visions of the celestial hierarchies of Nirvana may be experienced in the Bardo of the Clear Light of Reality (bon-nyid ‘od-gsal gyi bar-do) and then the profane visions of the various destinies of rebirth in Samsara will be experienced. However, it is likely that the experience of the Clear Light after death will occur so rapidly, almost instantaneously like a flash of lightning, that the individual will fail to recognize it unless one has done practice during one’s life time, including both Dzogchen and Tantric practice. So, not every deceased consciousness will experience this Bardo of the Clear Light. That is the reason why prior preparation and practice during the course of one’s lifetime is so important. And failing to recognize the Clear Light of Reality, or even to catch a brief glimpse of it, the stream of consciousness flows relentlessly onward, driven on by its individual karma, into the experiences of the Bardo of Existence (srid-pa’i bar-do). The experiences that the individual undergoes in this Bardo are determined by that individual’s particular karma. Even so, there exist practices, especially those of dream yoga or lucid dreaming and the practices of Tantric transformation into a Yidam or meditation deity, that serve as preparation for the experiences of the Bardo of Existence. The latter practice would culminate in the creation and realization of a subtle body of mind (sems) and psychic energy or prana (srog) in the form of one’s Yidam. This is technically known as the Illusion Body (sgyu-lus). However, realization of such a subtle body is not synonymous with enlightenment and liberation from Samsara, for, even though its form represents a pure vision of one’s own being, there yet remain many layers of subtle spiritual obscurations that need to be purified. However, to accomplish this, one does not need to take on again a human existence. Furthermore, even though the visions seen in this Bardo represent impure karmic visions, nevertheless they can be transformed as the result of the previous practice of the Yidam. Again, the Preface to the text states that if one does not know this teaching cycle concerning the advent of the Bardo, one will not, while in the Bardo, be able to separate and distinguish liberation, that is, recognizing the Clear Light, from the delusions or illusory karmic visions that arise after death. These karmic visions represent both the residuesof past existences and the precognitions of future existences. Moreover, time in the Bardo does not operate in the same mode as does the perception of time in the normal waking state, that is to say, time as rigidly sequential and chronometric. Rather, time in the Bardo resembles time in the dream state where past and future come to be mixed up together. In many ways, the Bardo of Existence is like an extended dream state. For this reason, dream yoga and the practice of lucid dreaming can serve as preparation for death and the Bardo experience in general. In everyday life, the process of falling asleep may be equated with the Chikhai Bardo, the experience of dying, and the moment after falling asleep, but before the onset of the dream process, may be equated with the Bardo of the Clear Light because, at that moment, one may catch a glimpse of the Clear Light of the Nature of Mind. Finally, the dream state itself may be said to correspond to the Bardo of Existence, where one comes again under the sway of karmic visions and re-enters the holographic labyrinth. Again, as the Conclusion to the text asserts, it is by means of this cycle of teaching concerning the time of the Bardo, that one is able to separate and distinguish liberation, by way of recognizing the Clear Light, from delusion, which is the falling once more under the sway and dominion of the dull lights of Samsara which lead back to the various destinies of rebirth within cyclical existence. Whereas liberation represents ascent into the Clear Light of Reality brought about by gnosis or understanding, delusion represents a descent into the lower worlds of generation ruled over by the kleshas or passions, in this case brought about by a lack of gnosis or understanding. Practitioners of the spiritual path are divided into those of a superior capacity (dbang-po rab), those of an intermediate capacity (dbang-po ‘bring-po), and those of an inferior capacity (dbang-po tha-ma). In addition to these three, the individual possessing an exceedingly superior spiritual capacity (yang rab) may obtain liberation without the need to undergo death and the Bardo experience because such an individual has attained liberation from Samsara in one’s present lifetime. This process is known as Phowa Chenpo or the Great Transfer (‘pho-ba chen-po), where one transforms directly into a Body of Light without the prior necessity of going through the death process. Part Five: The Practice of Seven Cycles of Clear Light. This final part of the re-structured presentation of the Chag Tri contains “Chapter Ten: Magical Wheel of the Channels and Prana,” and “Chapter Eleven: The Practice of the Seven Cycles of Clear Light” for the dark retreat. These two chapters provide the instructions for the traditional dark retreat of forty-nine days duration. Rinpoche looks forward to guiding students who possess the commitment and dedication to complete this journey of five parts and make a retreat of seven weeks in darkness. Begtse is a Mongol war god that legend says, converted to Buddhism in the 16th-century at the sight of the Dalai Lama’s transformation into Chenrezi, the Bodhisattva of Compassion. As a consequence, he became a symbol of pacification and the last in the series of 8 (or 9) Tibetan Buddhist dharma protectors or Dharmapalas. “He is represented with all the ornaments of the Dharmapala, brandishing a sword in his right hand, the handle of which is in the shape of a scorpion. His left hand holds the orange heart of an enemy near his mouth, clutching at the same time a bow and an arrow. He tramples upon the corpse of a man with his left foot and the carcass of a horse with his right foot. His three eyes are full of fury directed at the enemies of the dharma. Tenzin Wangyal Center in Virginia……… The Practice of Seven Cycles of Clear Light. This final part of the re-structured presentation of the Chag Tri contains “Chapter Ten: Magical Wheel of the Channels and Prana,” and “Chapter Eleven: The Practice of the Seven Cycles of Clear Light” for the dark retreat. These two chapters provide the instructions for the traditional dark retreat of forty-nine days duration. 2005-06-26 – Sakyong Enters Second Scorpion Seal retreat…….Sakyong Mipham Rinpoche has begun his second Scorpion Seal retreat in Kalapa Valley, Cape Breton. The Sakyong has undertaken this sealed retreat in the new tenno building, part of which will be in darkness, to benefit the Shambhala community.